Getting there: We crossed the Channel with “Le Shuttle” (Euro tunnel between Europe and England), after that a couple of hours by car and you are in Wales! Or: a flight to Bristol, the train to Cardiff and by bus to Pontypool. Maps: You can buy useful maps everywhere in the region. 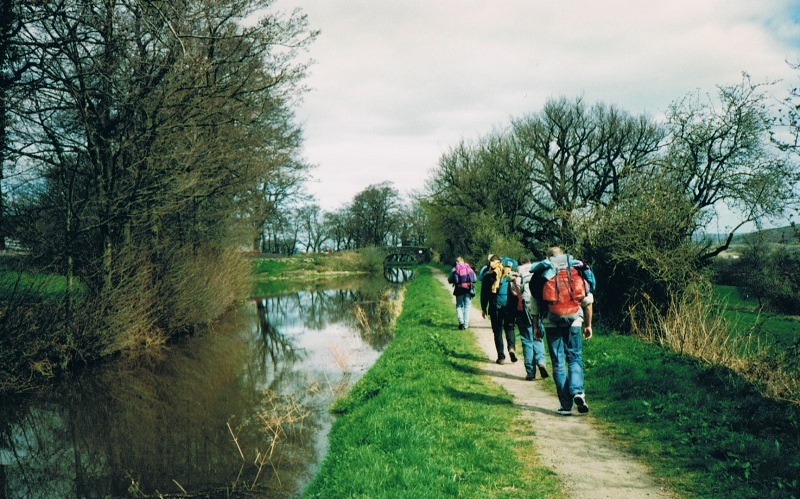 We used: Ordnance Survey Explorer Map, OL 12. Accommodation: Sometimes, at Easter, a problem. “No vacancies” at the plates in the gardens. But, a little site-step by taxi or bus to the next village, off route, and suddenly plenty “vacancies”. 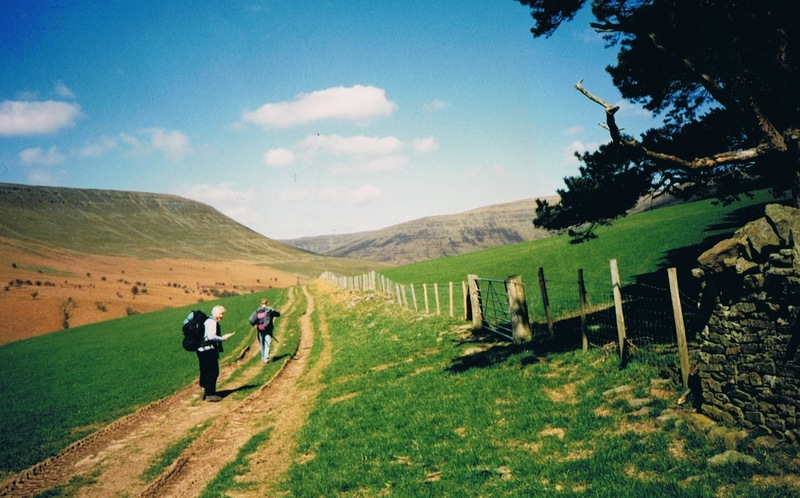 Easter 1997: a circular walk through the Brecon Beacons - ‘Bannau Brycheiniog’ - the typical sceneries of Wales. 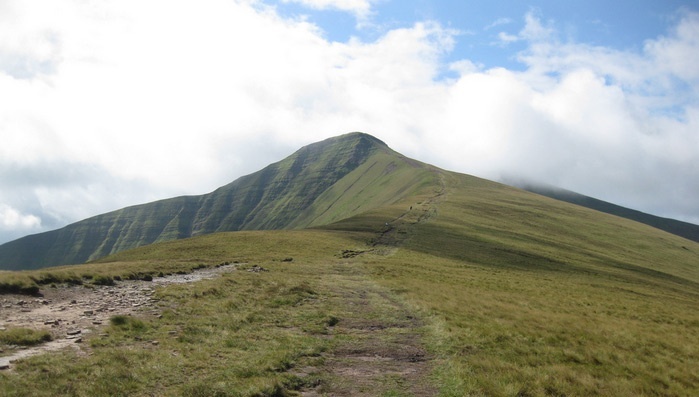 Spectacular mountain ranges, distinctive uplands formations. Nowadays a National Park. Distance between the stage cities: about 15 - 20 km. 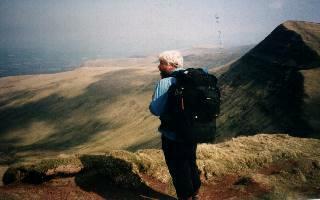 On trail: Wales at its best! The colors, Neolithic remains,glacial screes and moraines. 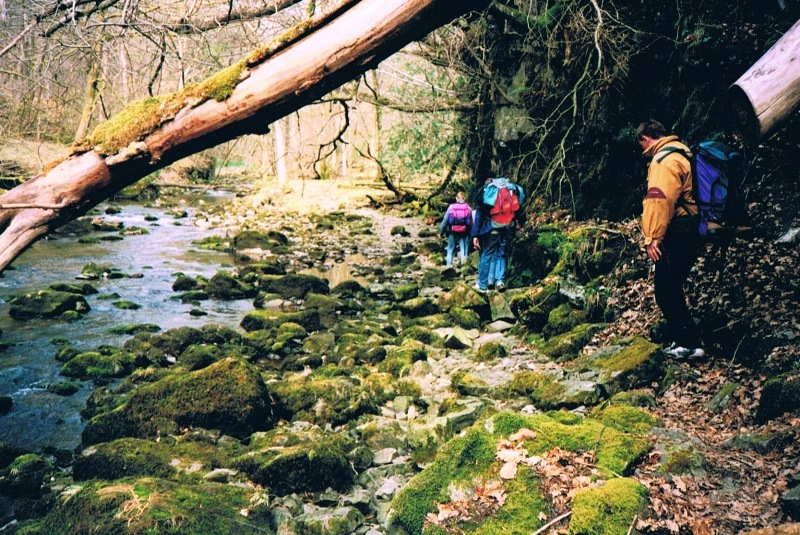 moss, a rich flora and fauna, Usk-valley (also the name of another famous trail), waterfalls, enchanting views………. 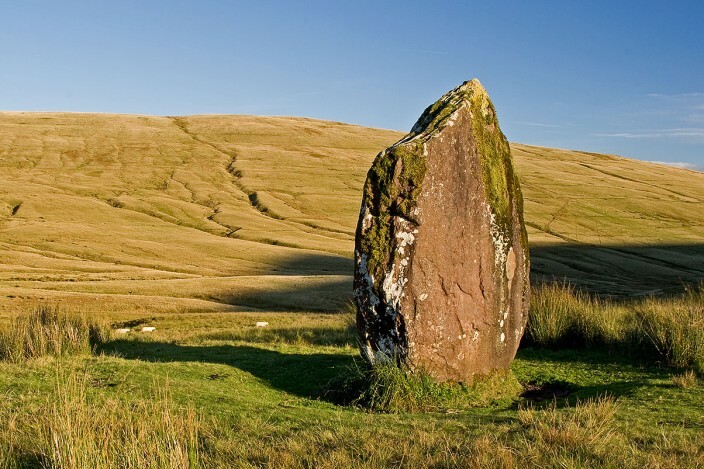 There are traces of early inhabitants in the remains of prehistoric stone circles and burial chambers, Iron Age hillforts and Roman camps. 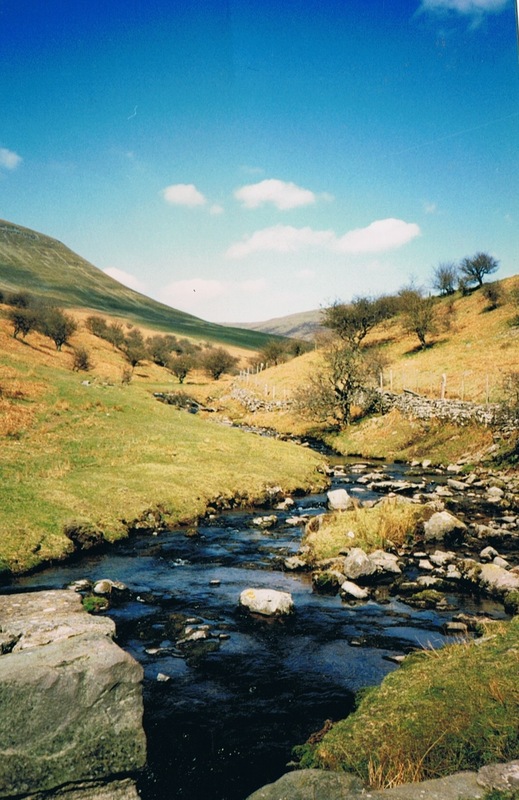 According to the website of the NP: "Most of our visitors come here to enjoy the stunning scenery. 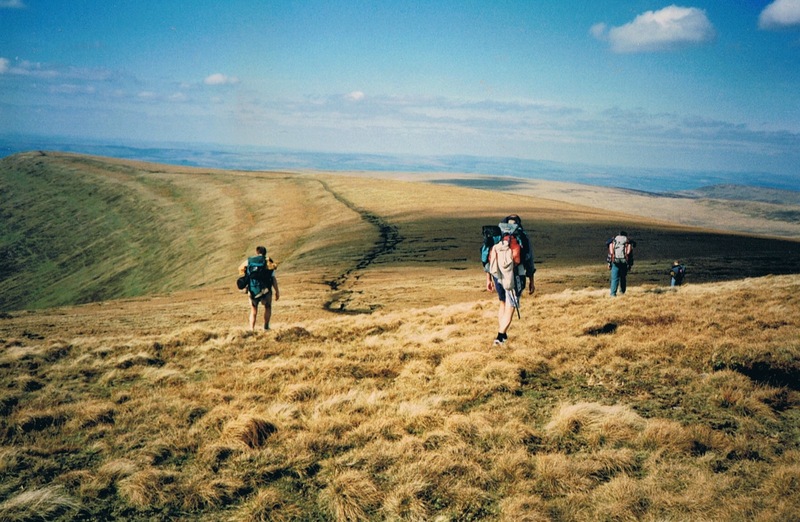 It’s both beautiful and diverse, with rolling countryside and valleys, wide open hillsides and wildly beautiful forests, lakes, waterfalls and caves". 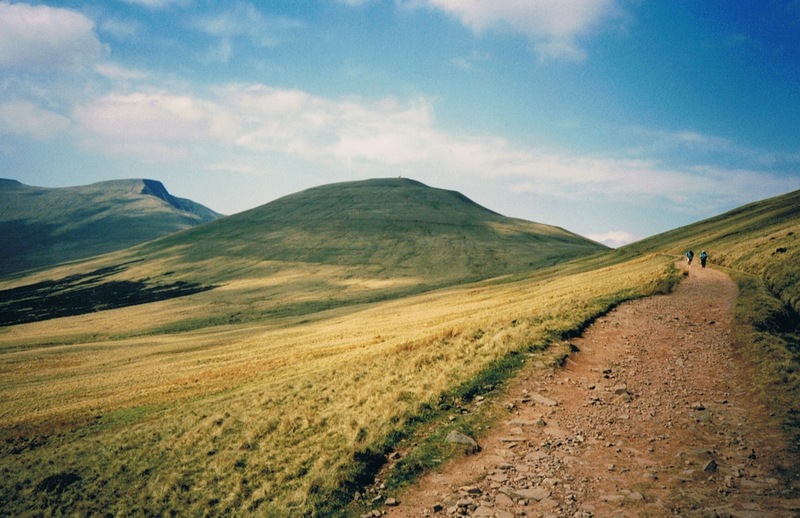 Sit on top of a hill and let the landscape catch you.Like below, the Pen y Fan mountain...the colors!! !